GrabPay gives your online customers a faster, more secure way to pay. 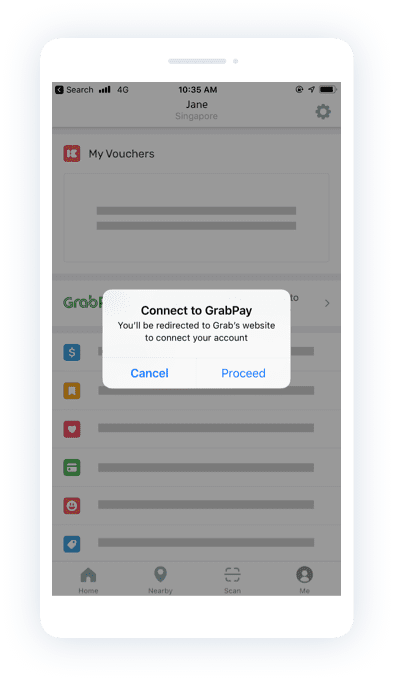 By accepting GrabPay online, you’re opening up your business to millions of Grab customers who are already GrabPay users. 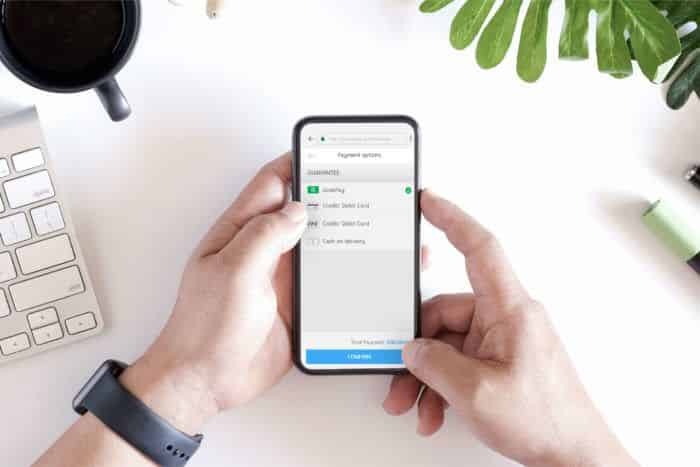 We want you and your customers to have peace of mind. 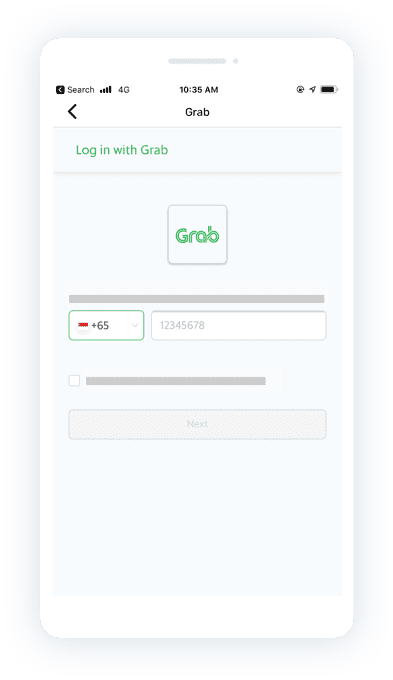 That’s why, all GrabPay transactions are encrypted and protected using state-of-the-art, 24-hour fraud detection engine. 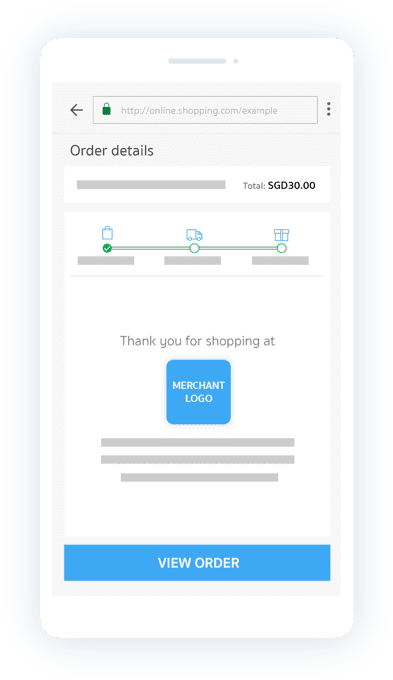 Reward your customers at no extra cost. 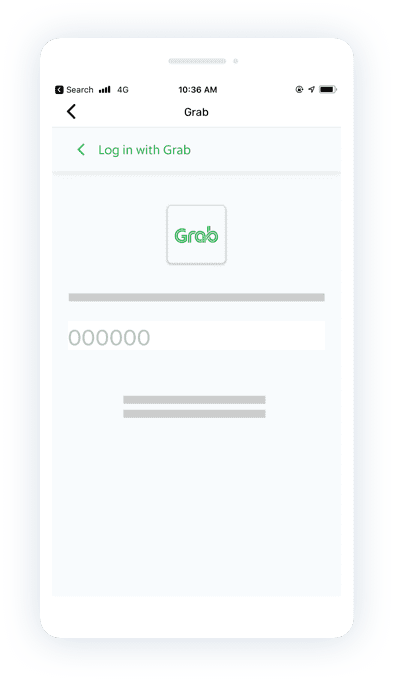 All your customers earn GrabRewards points every time they spend on your website or in your app, giving them more reasons to shop with you. 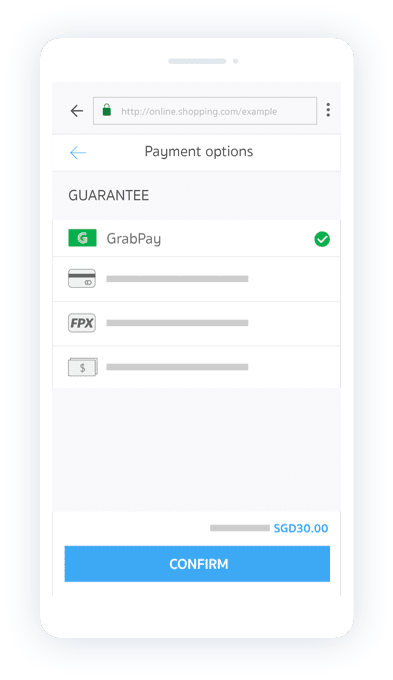 Paying is easier and faster with GrabPay. 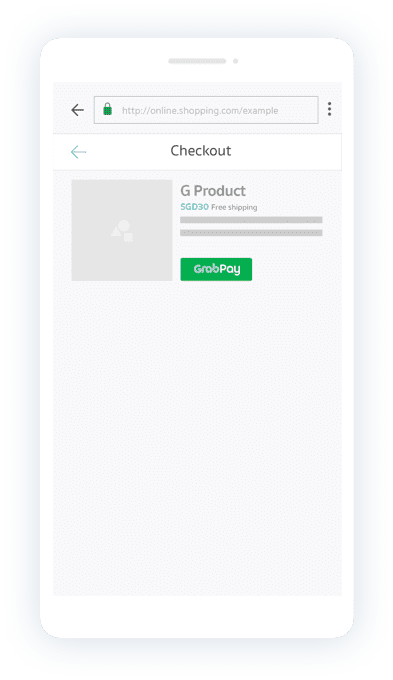 The one-tap checkout feature enables a quicker process for your customers. With less steps for your customers, you’ll get less dropouts during checkouts. Then, they’ll get a payment confirmation screen. It’s that easy! Leave your contact with us and our agents will be in touch with you really soon. In which country do you sell your goods / services? How much money does your online business process each month? Do you have a developer who can integrate with our API? 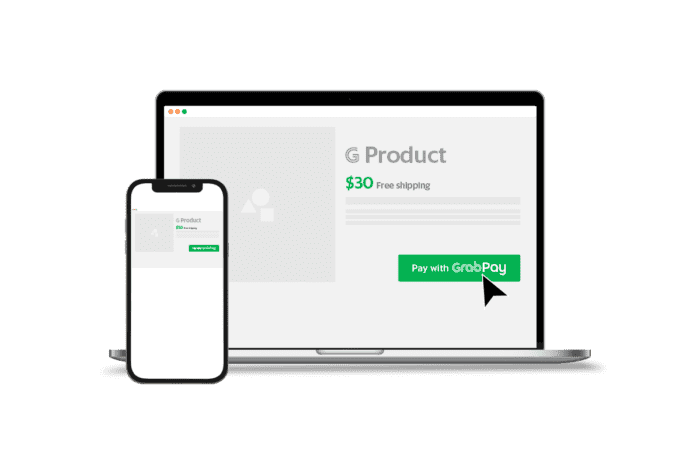 Are you partnered with a payment gateway? 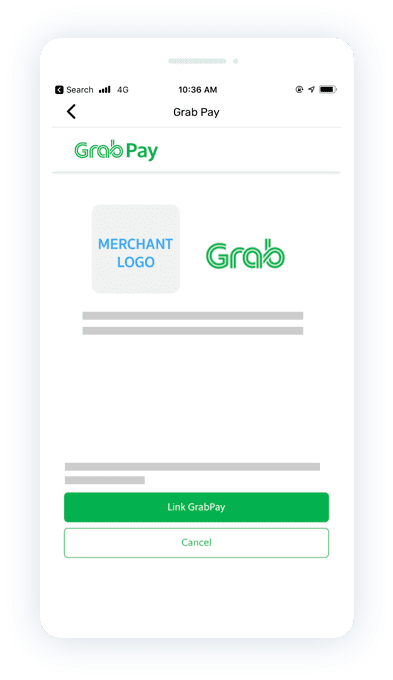 How do I become a GrabPay Online Merchant? Simply indicate your interest in the form above and our representative will reach out to you for additional business information and documents. 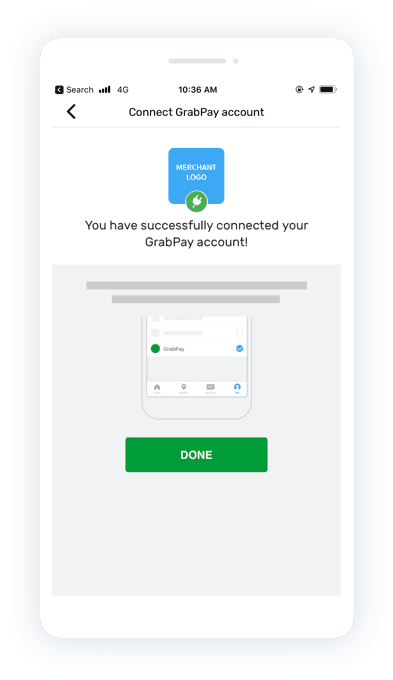 Once your details have been verified, our GrabPay Integration manager will bring you through the process of integrating GrabPay to your website or app. 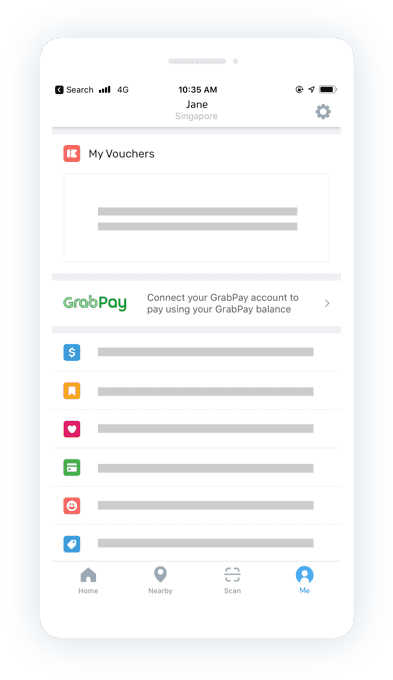 Why should I become a GrabPay Online merchant? Increase revenue: GrabRewards points encourage customers to spend at our merchant partners, thus allowing them to increase sales & GMV. When will the funds from my payments be settled to my bank account? Payments received will be settled to your bank account at the end of each working day.